The thesis follows the guidelines outlined on this page. The thesis matches the requirements and goals of your instructors assignment. The thesis is clear and easily recognizable. The thesis seems supportable by good reasoning/data, emotional appeal. A good thesis is unified: Detective stories are not a high form of literature, but people have always been fascinated by them, and many fine writers have experimented with them (floppy). vs. Detective stories appeal to the basic human desire for thrills (concise). A good thesis is specific: James Joyce’s Ulysses is very good. vs. James Joyce’s Ulysses helped create a new way for writers to deal with the unconscious. Be as specific as possible (without providing too much detail) when creating your thesis: James Joyce’s Ulysses helped create a new way for writers to deal with the unconscious. vs. James Joyce’s Ulysses helped create a new way for writers to deal with the unconscious by utilizing the findings of Freudian psychology and introducing the techniques of literary stream-of-consciousness. (Source: OWL@Purdue). A thesis is not a title. Ex: Homes and schools (title) vs. Parents ought to participate more in the education of their children (good thesis). A thesis is not an announcement of the subject. Ex: My subject is the incompetence of the Supreme Court vs. The Supreme Court made a mistake when it ruled in favor of George W. Bush in the 2000 election. A thesis is not a statement of absolute fact. Ex: Jane Austen is the author of Pride and Prejudice. A thesis is not the whole essay. 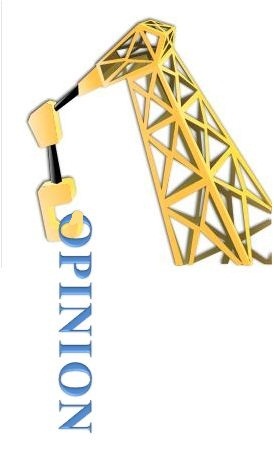 It is your main idea/claim/refutation/problem-solution expressed in a single sentence or a combination of sentences. 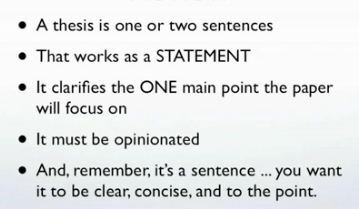 Please note that according to the MLA Handbook for Writers of Research Papers, Sixth Edition, "A thesis statement is a single sentence that formulates both your topic and your point of view" (Gibaldi 56). However, if your paper is more complex and requires a thesis statement, your thesis may require a combination of sentences.